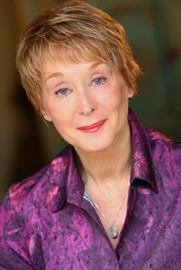 CAROLYNE BARRY, for over 40 years, had extensive professional experience as an Actress, Teacher, Casting Director, Director, and Producer. As an actress she had over 100 television and film acting credits and appeared in more than 400 national commercials. In the last twelve years, Carolyne cast over 500 commercials and infomercials for some of New York’s top commercial agents. Since 1982, she was one of the most successful Commercial Acting Coaches in Los Angeles thanks to agents, managers and student recommendations. Ms. Barry was known and respected as the toughest and most thorough Commercial Acting Coach and her school has over a dozen workshops offered as part of her specialized curriculum. In the late 1970’s she Co-Founded and was the Artistic Director of the ETC. Ensemble Theater Company in New York . This was a State Funded, Off-off Broadway Theater which produced numerous original pieces. Many of which Carolyne Barry either co-created, directed, produced, choreographed and /or starred in. From 1983 till 1989, Carolyne created and ran Professional Artist Group which at that time was the largest training and casting facility in the country. In 1995, she co-created and directed Hysterical Blindness” a musical comedy that ran in Los Angeles for five months before it went to off-Broadway in New York City where it had an extensive run. And in 2002, she was a top 50 finalist in HBO’s Project Greenlight Director’s competition. Carolyne Barry had been featured as a teaching authority in the The Hollywood Reporter, L.A. Reader, The Examiner, and recently in Backstage West as well as on C.N.N., K.H.J., K.T.T.V. and numerous other TV and Radio talk shows throughout the country. In 2009 and 2011, Carolyne was voted #1 Favorite Commercial and On-Camera teacher in Los Angeles by the Backstage West readers.